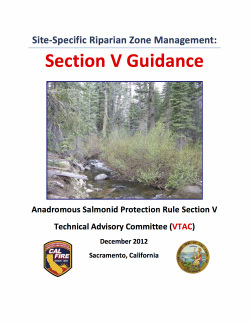 The VTAC is a technical advisory committee formed for the development of: (1) multiple pilot projects that use site-specific information and measures to protect and restore the beneficial functions of the riparian zone in watersheds with listed anadromous salmonids, (2) recommendations to the CAL FIRE Director regarding implementation guidelines for spatially explicit riparian projects, and (3) final recommendations to the State Board of Forestry and Fire Protection (BOF) regarding guidance document development for spatially explicit riparian management. The VTAC will also track implementation through CAL FIRE progress reports. Sound Watershed Consulting is leading an effort to evaluate literature relevant to riparian exchange functions in forests throughout California that are host to salmon and other important aquatic organisms. The purpose of the literature review is to support the Board of Forestry in its development and adoption of riparian rules to protect threatened and impaired watershed that support endangered fish species (salmon and steelhead) and other aquatic species. The file below contains a poster presented at the 2008 Society of American Foresters conference that summarizes the results of the literature review . One of the compelling outcomes from the literature review (described below) is idea of developing a spatially-explicit Riparian Management process within the State of California. Such a process would vary forest management practices to more closely support ecological process important to the creation of salmonid habitat in forested landscapes. Sound Watershed Consulting presented a conceptual approach for a SERM process to the Board of Forestry on June 2, 2009. We continue to work with the Board as it considers this management strategy. 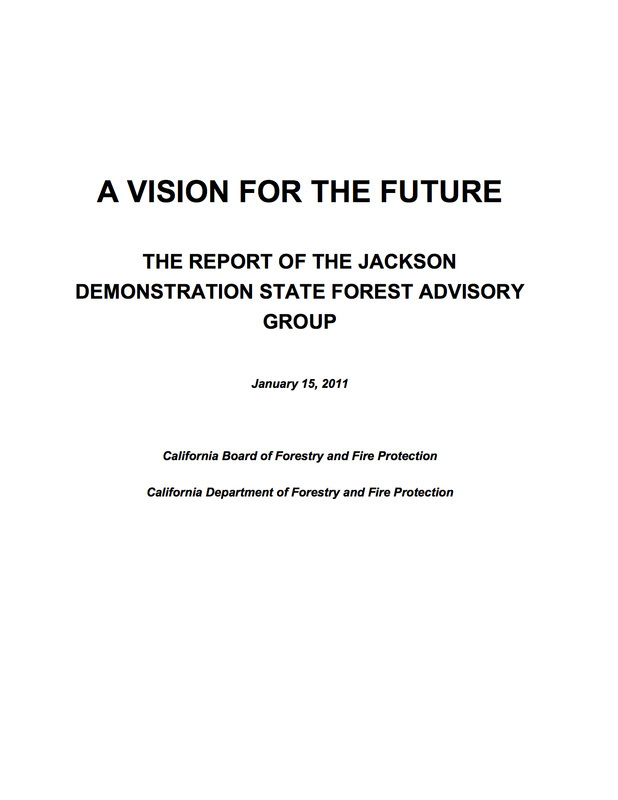 Sound Watershed's Founding Principal (Mike Liquori) was appointed by the Director of CAL FIRE (California Department of Forestry and Fire Protection) to participate on the Advisory Board for the Jackson Demonstration State Forest, the largest experimental forest in California. Mike contributed significantly to an exciting and dynamic research vision for not only the JDSF, but for the entire redwood region - using JDSF as a hub for collaborative, world-class research and demonstration. Mike is currently enjoying his second term on the Board.